First of all I’d like to give a big dollop of credit to @Cinebar, as this is essentially a re-write of a challenge they posted (from 2017) which gave me a massive boost of inspiration. I think it was an absolutely fantastic idea and I wanted to revive it, so thank you for the permission! Another big thanks to @BuildnShare who gave permission for me to use their entry form which is very handy (slightly adapted to fit the challenge). It is said that a sense of unrest was increasing within a small group of residents with the way things were being run in their home world. Rather than fighting an unwinnable battle with the greedy corporation family, these sims took action! They put their resources together and claimed their own slice of paradise in their new world. Law, order, emergency services, a tonne of admin paperwork, something to show off to out of town visitors… Up to you! 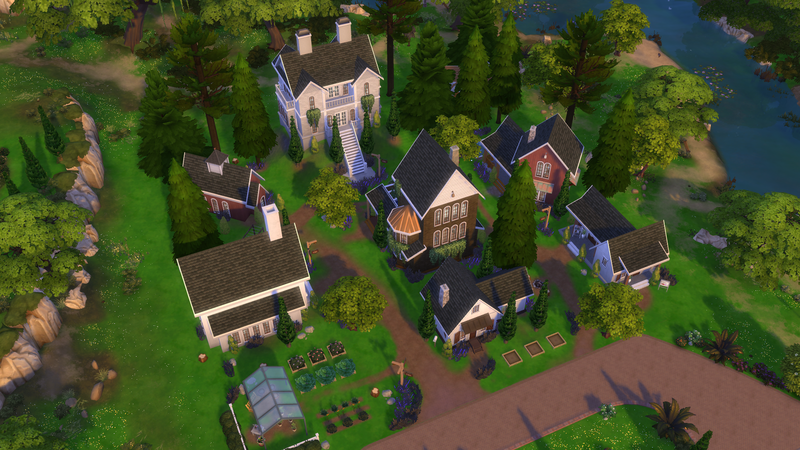 One sim doesn’t make a town, but two’s a start. 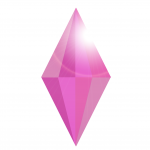 These can be as large or small as you desire, housing between 2 (one each) and 8 sims. There’s not enough space for a mall, but sims don’t want to go to the next district every time they need something. One should be family friendly such as a cinema, theatre, bowling alley (anywhere you would find toddlers to teens). One should be aimed at young adults and older (e.g. 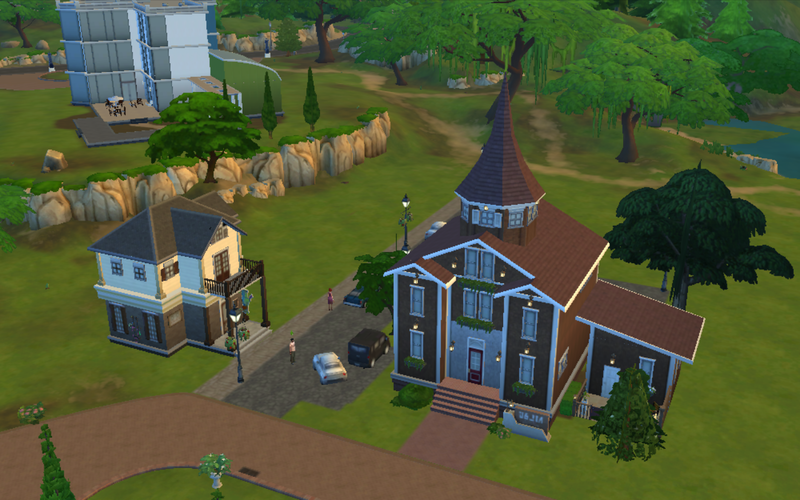 pub/bar, nightclub, romantic spot… something more sophisticated and mature). A communal outdoor place to relax or play. Have at least 3x3 tile of water. After all, a sim's gotta drink. · 50x50 lot in any world. Must be exact size, single lot. · Any lot type (residential or public). You should have a reason for which one you picked (can be a short sentence or a backstory, whichever you prefer). Consider the ‘bigger picture’ when building! This lot is to be designed as a town rather than any single type of lot, and is for more than one family meaning there would be a diversity of tastes and interests, and is likely multi-generational. ‘Rome wasn’t built in a day’; do consider an overall cohesiveness when building all the buildings within your lot, but don’t feel restricted to have all the buildings same-same. Maybe one building was constructed 100 years after the other. It’s in your hands. Since it’s a town with multiple separate buildings, you’ll probably want some roads or sidewalks to get around. Unless it’s not… up to you! You can think about which buildings/spaces you might like to combine, or have all the spaces fully detached. Each space needs to be well defined, though! If you want to join in ‘just for fun’ you can skip the next post and get building! To the competitive, read on. The entry form below has a section asking whether or not you would like feedback. You can ask for written comments AND/OR your score card OR neither. (I won’t post any scorecard with a total of less than 40/100, instead giving constructive feedback if asked for. You also can ask for comments if joining in ‘just for fun'). To all participating, I would ask that if people ask for feedback that you join in and that all feedback would either be positive or constructive (meaning no to ‘It looks bad’ but yes to ‘I think you could work on improving (proportion/landscaping/whatever). *This can also be adapted to a ‘shell’ scorecard, meaning you will not be judged on interiors and the score will be given as a percentage rather than a score out-of/100. (Note: it may be difficult to distinguish what area is intended to be which space and it’s possible to lose some points on criterion 2 - ‘Included all spaces’). 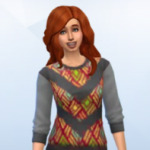 I will aim to have a wrap-up/‘winners’ post up by 1/Mar/19 at midnight (that is, if more than three simmers choose to have this scored or as a ‘competition’). Winners get fame, glory, and blessings from llama gnomes. Probably also a nomination for Maxis faves, y’know. *I might see about making banner/s for winner/s but I’m quite out of practice, so this is a definite maybe. Oh this is so rad!! I'm a builder and I love a challenge! I will happily participate, my friend! I do have a question. I read the rules, but I want to clarify--does each participant build 1 lot, or do we build all 8 lots? Either way I'm game, this sounds fun! Hi @Haids5987 I'm so glad you'd like to do the challenge! 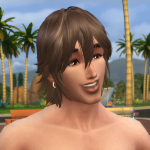 The idea is to build 10 buildings on the one 50x50 lot (10 as two of the building types have two buildings each - 2 Residential and the Entertainment category has one for family-friendly, and one for adult sims). You also can combine two areas into one building (for example you might like to have a school room in the city hall), just as long as it's obvious what area has what purpose. Here's a progress shot of what I'm up to so far. The church which has a vestry, and another residence on the 2nd storey of the smaller building which I'm fitting out as a pub at the moment, but I'm not sure if that will be its final form. Oh i am so excited to start this! One question though - can I upload my pictures to Twitter if i can't upload them on here? What do I hashtag for you to see them? Hi @ArrowBuilds welcome to the forum! I'm glad the challenge is exciting to you! 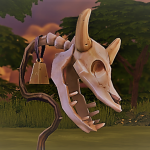 Hashtag #BuildaVillageChallenge on the gallery and I will find them . My sim twitter is @SmallAurelius so you can @ me if you like. There's also lots of places you can post to get enough posts & points to become a full member in order to post photos on here (I suggest using Imgur to as an image-storage platform to share from once you get membership). Try threads on the 'Off Topic Chat' category to post up and become a member. Also Introduce yourself in Rosemow's thread. @SmallAurelius This sounds really cool! Can I clarify something? Did you say that you need to label the lot as either residential or retail? If it's retail (and if one owns 'Go to Work') the store can be functioning for sim use but the owner household will have to have another residence to 'live' in, even if this lot's residences have beds/home use items and are usable on-site for that. And the household would have to purchase the lot as a business. On the other hand, if it is residential the household can live in the buildings, but the store/businesses will not be usable as retail, etc. So I guess what I am wondering most is if the build is just geared toward looks/design or to function in either one of these manners, as this would effect how I approached certain design aspects. I hope this makes sense. Anyway, this sounds so creative and exciting! Great idea! I'm glad you like the idea of the challenge @SheriGR You can list the lot as ANY type of building, it would just be good if you wrote a little sentence about why you picked which one. At the moment, as I am building mine I am thinking to have it as some type of community lot, possibly a park because the whole concept is reminding me of Westworld which is a park (even though it's not Western/desert theme). And I’d like to be judged on it. Thank you. I will put on my thinking cap. Thank you for this! 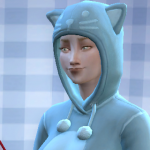 I've been trying to find build challenges--it's my favorite thing to do in Sims! ENTRY DETAILS: Early America, is designed as small community-based village that is looking for applicants for residency within the newly renovated homes on lot. First esablished in colonial Massachusetts, during the 18th century, many of the communal buildings feature original hardwood flooring, and finshes that date back to the pre World War II era. New residence can enjoy the narrow foot paths, original school house, and community garden all within walking distance of each home. Town Accomadations Include a; Community Garden, Chuch, School House, City Hall, French Off-Grid Cottage, Small Bathing Spring, Local Pub, Public Libary, Country General Store, and three seperate private living quarters. Applications for Residency are limited, but open to Sims of all ages ready for a community based lifestyle. Worth the download, Enjoy! CONSTRUCTIVE CRITICISM: Yes. Thank you. CREDIT FOR CC/RECOLORS: Used only bb.moveobjects in game. This isn't going to be a thing, huh? @MACDesign I Love your village! You're a great builder! I can see my sims living there. I hope it IS going to be a thing. Hopefully @SmallAurelius will judge your work for you. I think it is fantastic! Even though the contest is over I think I will try to make a village myself. @MACDesign You are welcome! I just downloaded it and will check it out! I actually love small communities like this. That's really an amazing lot. It's beautiful. It looks rpg-ish but also very natural! . Thank you both so much @damaro and @Simpatsyann !